Trying to find an Exceptional Maid Service? Looking for a professional maid service that is dedicated to a clean and healthy home environment? 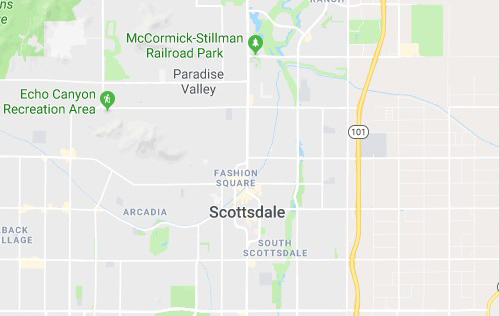 You'll be amazed at how The Maids Scottsdale manages to do it. 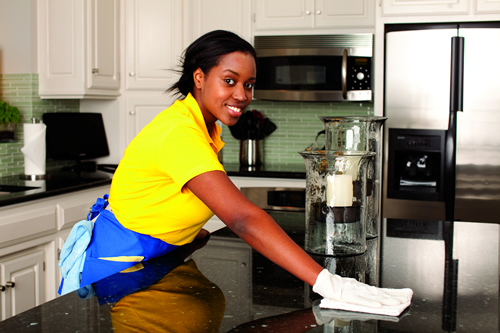 We offer recurring maid services that are designed to make your life easier and encourage healthy living. Our house cleaning team is professionally trained to give you the greatest clean you've ever seen! With our recurring maid services, you can count on having a clean home as often as your scheduled cleans. We offer different cleaning frequencies, including weekly, bi-weekly, monthly and bi-monthly visits, depending on what works best for your family’s lifestyle. You can count on The Maids to be the regularly-scheduled maid service that gives you back your free time. Our 22-Step Healthy Touch Deep Cleaning System was created to systematically clean your house. This system is uniquely designed to clean your home like no other maid service. The entire process will be completed by a group of four cleaning professionals, all of whom have been trained to perform our 22-Step Healthy Touch Deep Cleaning System thoroughly. This cleaning system was developed to combine the best cleaning methods with the healthiest products. It eliminates harmful allergens, contaminants and bacteria using environmentally friendly products. Our state-of-the-art backpack vacuums are equipped with HEPA filters, so you can rest assured that we will also take care of all the allergens in the air. We go to all lengths to make sure your house is as healthy as it is clean. When you use The Maids’ recurring cleaning services, we continually send the same team out to your house, so you know who to expect. Research conducted by The Maids has revealed that an organized team cleaning approach is much more effective than an individual approach. Every working team is composed of 3 to 4 uniformed employees who are professionally trained in the usage of advanced cleaning equipment and supplies, so you can trust you are getting a detailed clean from your personal team of Maids. When you work with The Maids, we don’t make you jump through hoops to have your home cleaned. Instead, we establish a recurring schedule around your calendar, so you don’t have to call and schedule an appointment every week. We can accommodate our maid services to match your personal needs, whether that means a change in schedule or perhaps an immediate cleaning job. And with weekly, bi-weekly, monthly and bi-monthly cleaning options, you are sure to find a schedule that fits your needs, so you never have to wonder when your house will be cleaned next. In addition to our recurring services, we also offer one-time house cleaning services when you need extra cleaning done. From move-in and move-out cleaning to occasional tasks like garage and window cleaning, you can add these services on to your regularly scheduled clean or book them on their own. We’ll take care of those pesky tasks that need to be done once or twice a year, on top of your regular services. Whether you are seeking a change from your current cleaning company or you are a first-time user of recurring maid services, you can rest assured that The Maids Scottsdale will provide you with superior quality and reliable cleaning at a reasonable rate. All you have to do is give us a call.